We visit the 5-acre Yarrabee Native Garden, near Lara for morning tea. 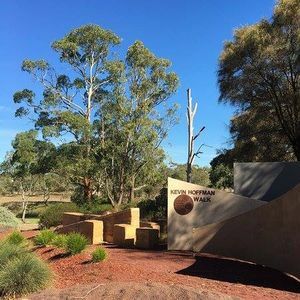 Next The Kevin Hoffman Walk on Hovell's Creek in Lara for a stroll along this scenic 800-metre trail. We then travel to NatureWest at the old Werribee Homestead at Werribee Park with a walk through the State Rose Garden. Finally to Roraima Nursery and Display Gardens and the Flame Tree Café. $75 members or $85 non-members. Morning tea and lunch are included. Bookings and payment by Wednesday 20 March.